Does the idea of a few days away in Cornwall appeal to you? 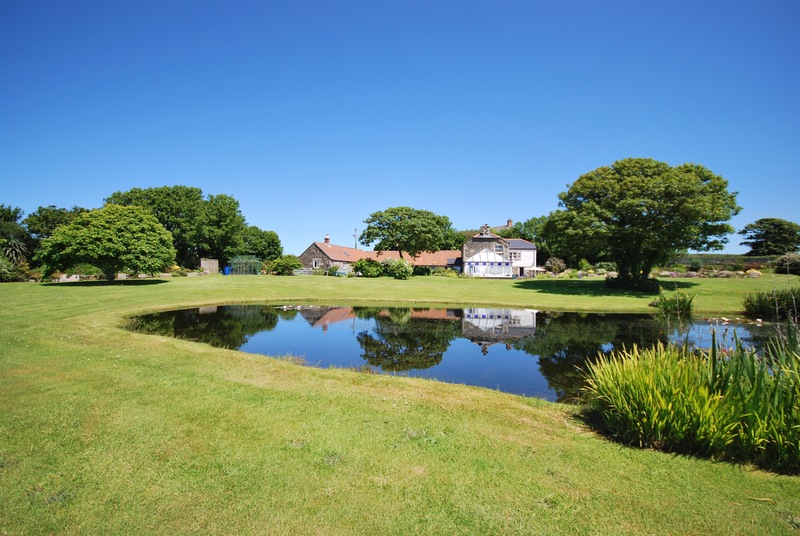 Where you can practise Pilates, go walking, have your meals cooked for you, have a chance to read and generally relax? If so, Sarah invites you to one of her Pilates and Massage Retreats. After a few days you will be feeling completely revived and energised and return home a new person. You can choose Sarah's specific dates or arrange your own trip to suit you, see the Options below. 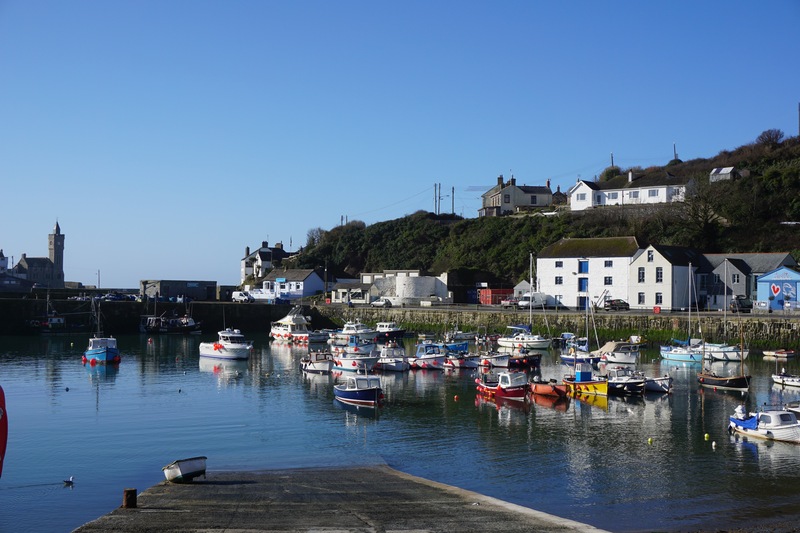 We are located in quiet farmland, halfway between the ancient town of Helston and the fishing port of Porthleven, where Lanner Vean Barns provides the perfect tranquil setting; in the middle of countryside yet within a mile of the sea. 'Feel a sense of calm as soon as you drive through the gates' . 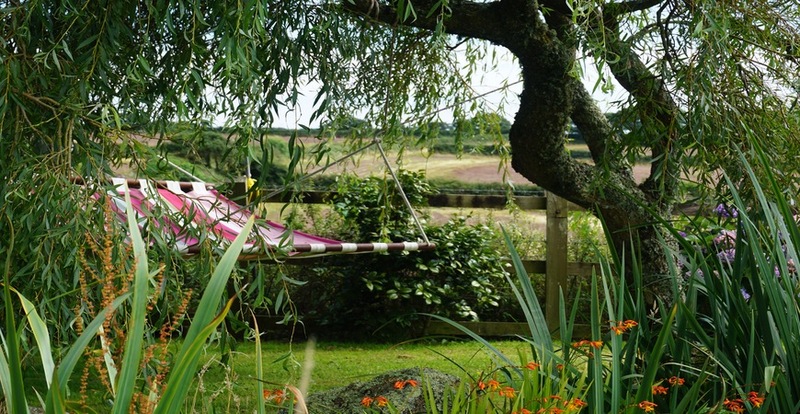 You'll be staying in a converted Cornish barn across from our farmhouse. 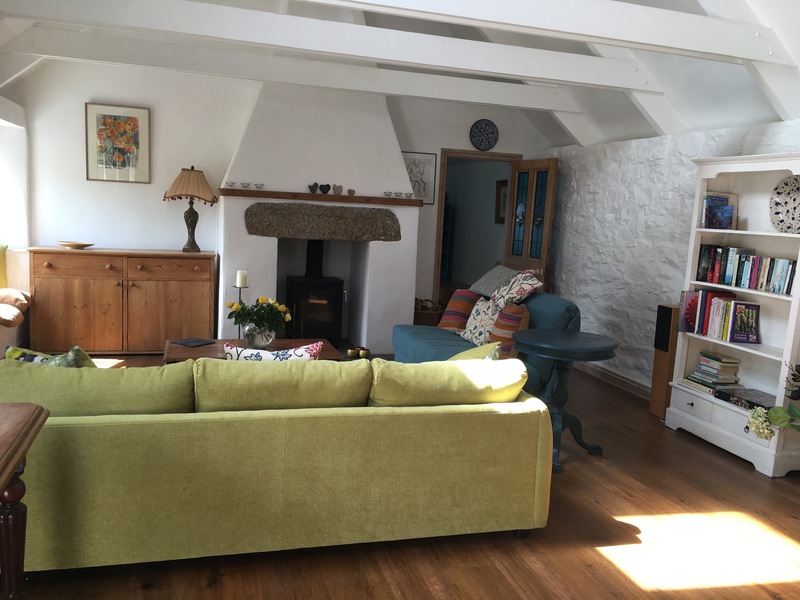 The barn is furnished in a stylish and homely way enhancing your feeling of being relaxed and comfortable. There are two double bedrooms, which can be either twin beds or kingsize doubles and if more than four of you are staying there is the option of using the bedrooms in the main house. Your Pilates classes take place in a newly converted state-of-the-art Studio. 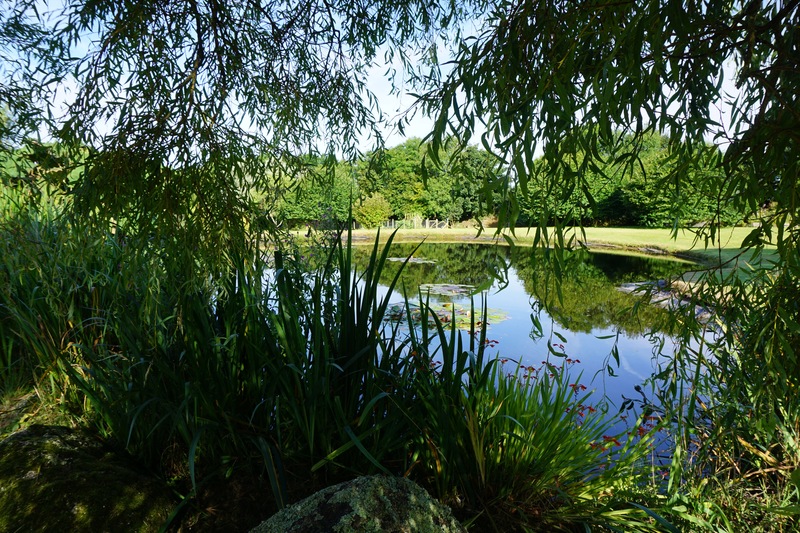 The garden has quiet corners where you can relax. 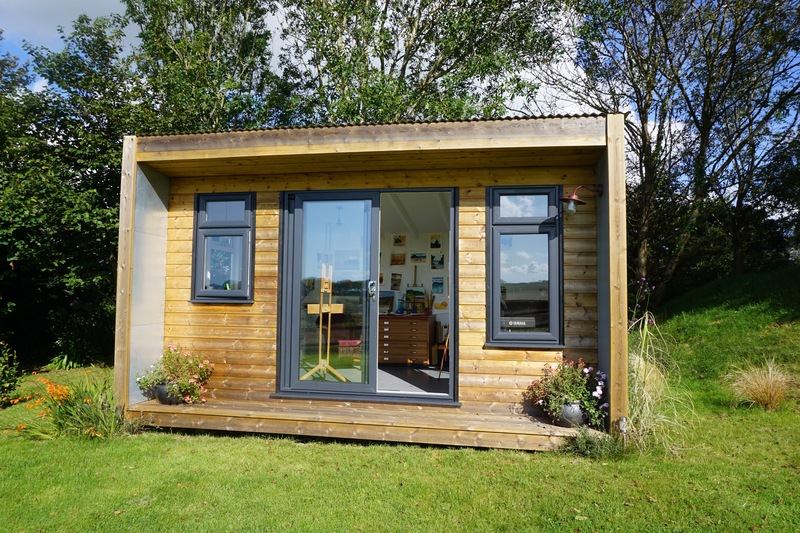 We also have a secluded art studio so do bring your paints or just use it to have a quiet time with your book. Cornwall has an enviable reputation for organic food and farming with innovative cuisine. Being 'foodies' we love being able to source so much that is local and organic. We grow many of our own vegetables and everthing else we try to buy from local producers. Dining is an integral part of the retreat and is predominantly vegetarian. 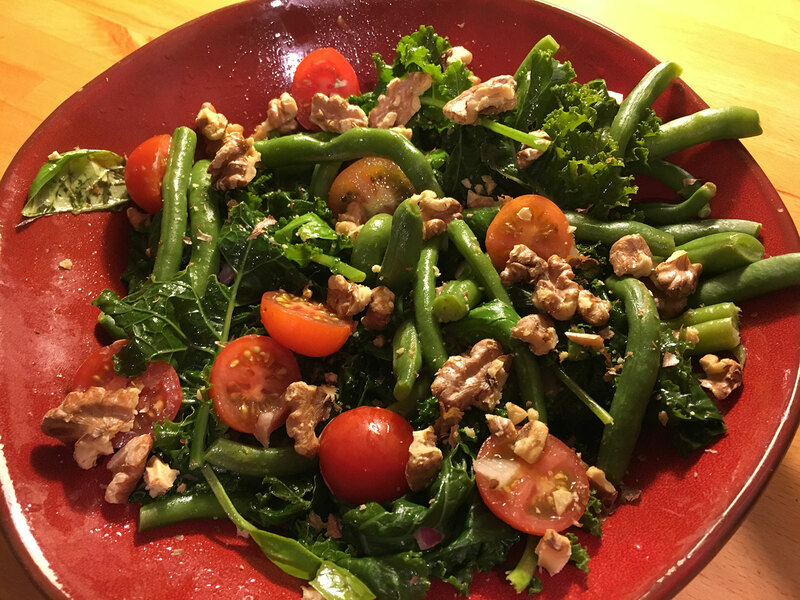 We like our meals to be healthy, light yet satisfying and we want you to look forward to each meal. We are happy to oblige with individual dietary needs. 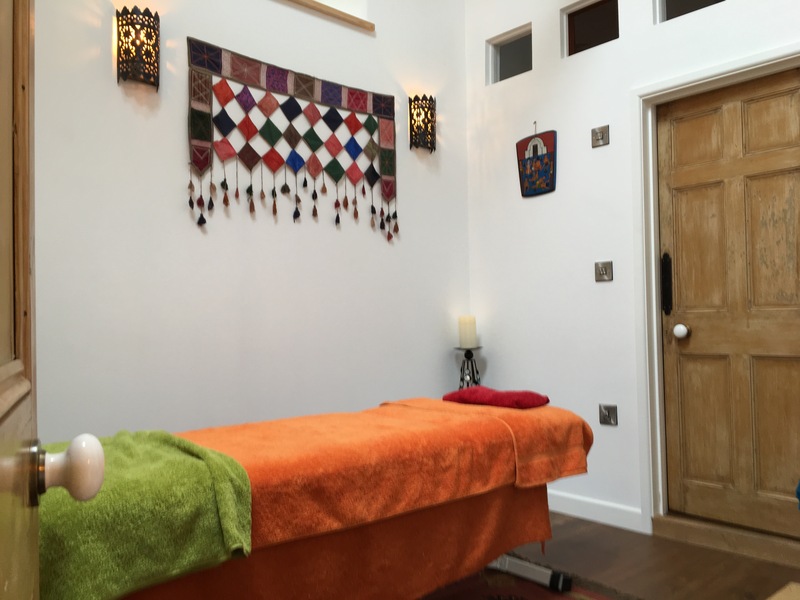 You could further enhance your retreat by having a massage in Sarah's peaceful and cosy treatment room. If you don't normally have the time for massage then this is a perfect opportunity. Sarah has 30 years of experience in Massage, Sports Therapy and Pilates, having initially trained as a nurse. She has worked in many areas of health and fitness and with this knowledge she has a unique and caring approach to her massage and teaching. 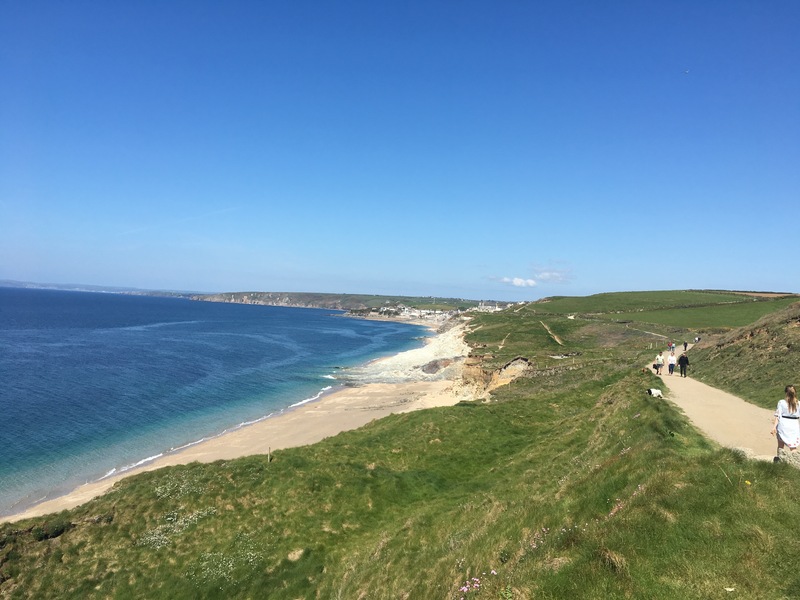 Porthleven (1mile), Helston (1mile), Penrose Estate (½ mile), Helford Estuary (12 miles), St. Ives (14 miles), Falmouth (14miles), Penzance (14 miles). Sarah runs Specific Retreats three times a year and at any other time you can come with your friends and create your own Bespoke Retreats, see the various options below. We never have more than six people (non-Pilates partners are welcome) which keeps the group small and friendly and allows for individual attention. On the evening of your arrival we have an introductory stretch/relaxation session before dinner. The following three days start with a half-hour wake-up stretch before breakfast to get our limbs moving. The 2 hour morning class focuses on toning and strengthening. We finish the day’s Pilates with a gentle stretch and relaxation session prior to dinner. Each day consists of approximately 3½ hours of Pilates. Within each class the exercises are adapted to suit individual bodies and abilities; Pilates is brilliant for this! 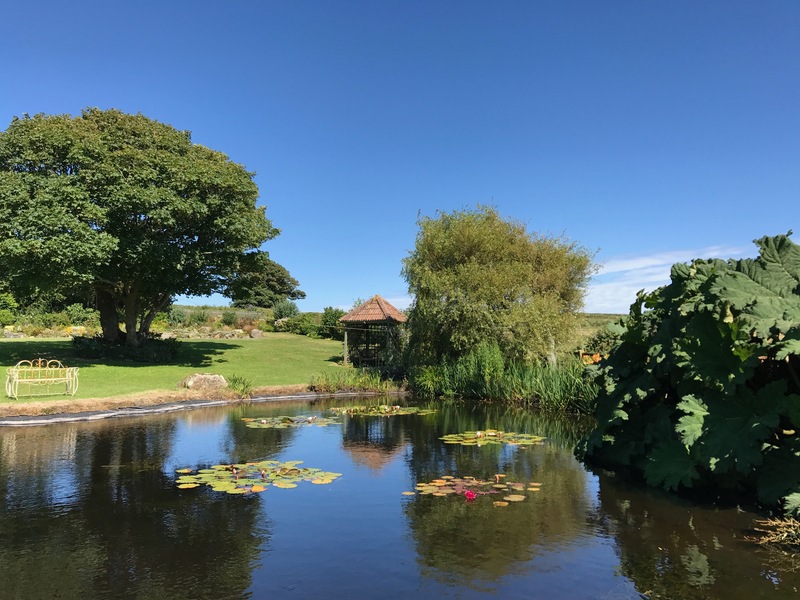 Afternoons are free time; relaxing at Lanner Vean, exploring the local area, walking along the south-west coast path, swimming, surfing or sailing - the choices are endless. Accommodation plus all breakfasts and lunches are provided. Dinner, with wine, is included on the Thursday of your arrival and the Sunday before you depart. Arrive between 14.00 - 16.00 hours on the Thursday and depart after breakfast on the Monday. You are welcome to join in Sarah's Monday class in Porthleven @ 09.30 hrs if availability allows. £545 per person sharing a room or £645 for single occupancy. Price includes accommodation, dinner (with wine) on Thursday and Sunday plus all breakfasts and lunches. 11½ Pilates tuition. 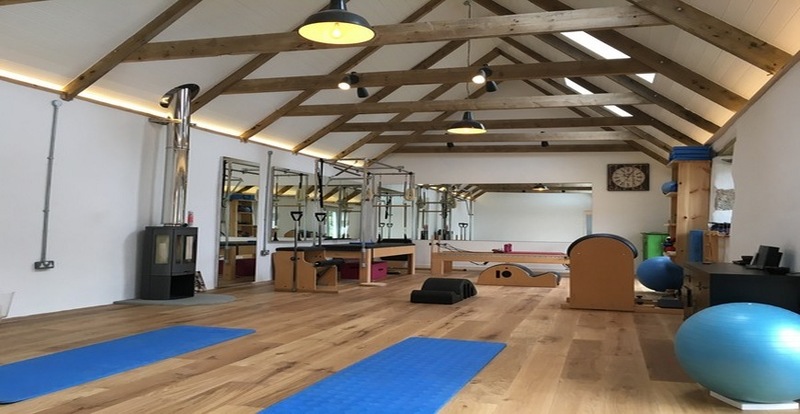 Gather some friends together and decide how much Pilates you want to do and whether you want to be self-catering, catered for or a combination of both. Minimum of 4 and a maximum of 8 guests. I suggest a 4 night stay to get the most benefit although 3 nights would also work. The Pilates lessons use the floor mats but you may want to try a lesson on the equipment such as the Reformer and Cadillac. You can enhance your stay by booking a massage with Sarah.